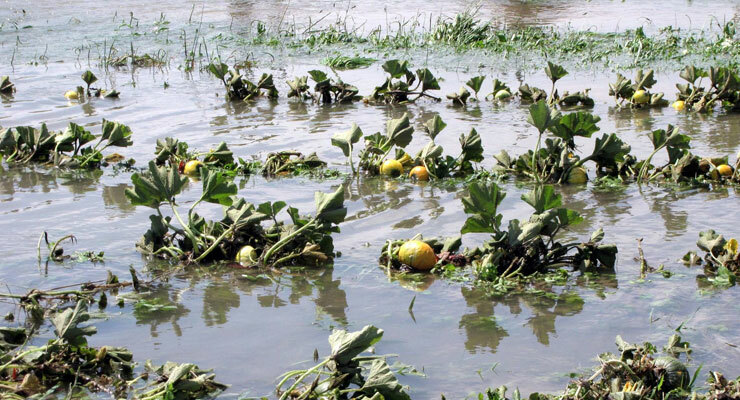 The primary risks impacting agriculture are mainly related to natural hazards, especially floods, cold waves, heavy rain, hot waves, and forest fires, according to a study published by the Ministry of Agriculture (MoA) and the Food and Agriculture Organization (FAO). The study, ‘Vulnerability and risk Assessment to Facilitate Planning for Disaster Risk Reduction and Climate Change Adaptation in in Agriculture’, was conducted by the National Council for Scientific Research (CNSR). The researchers summarized all disaster events in the country along with their consequences and damages, relying on old documents and archived newspaper reports from 1971 to date. The CNSR team also relied on satellite photos, field visits, and interviews with farmers and other leaders in the sector. The study cited floods as the most harmful weather event for agriculture, with losses that could reach $330 million per year in the worst case scenario. “The value of losses was based on the annual frequency of disasters that took place from 1971 to date,” said Chadi Abdallah, Associate Researcher of Remote Sensing Center at CNRS. Worst case scenario losses from cold waves were projected to reach $241 million. Heavy rains ($177 million), hot waves ($149 million), forest fires ($125 million), and storms ($93 million) were also listed as significant risks. In fact, such natural disaster to varying degrees impact crop, livestock, and fishery production every year. The study was intended to be a reference for the MoA to set an agricultural strategy which limits the impacts of natural disasters. The study should help the ministry to prioritize risks and mitigation strategies for agricultural areas across the country. The results of the study assessed seasonal risks, which will help decision-makers to be prepared for disasters. In the worst case scenario, the Baalbek-Hermel governorate stands to have the highest losses from natural disasters, estimated at of $130 million. This was followed by Akkar ($113 million, Bekaa ($99 million), South ($83 million), Mount Lebanon ($78 million), and North ($61 million). Winter is projected to be the riskiest season, with average losses that could reach $131 million, followed by summer ($129 million), autumn ($96 million), and spring ($29 million). “The value of the losses was based on the annual average amount of losses that happened during each season,” said Abdallah. If these losses were calculated the total average would reach around $400 million. “But witnessing disasters in all seasons would rarely happen,” said Abdallah. The study recommended that the MoA work to manage and reduce seasonal risk, and to take immediate actions to mitigate repercussions that could lead to further losses. This could be achieved by diversifying crops, planting resistant species, and adjusting planting dates and cropping patterns. The study also recommended establishing water management plans in order to reduce rainfall dependency. The livestock sector also can be improved by adopting preventive plans such as continuous monitoring and vaccination campaigns to prevent biological hazards. It is necessary to establish rules to move from early response to early warning information, the report said.